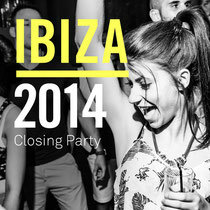 The Closing Parties are in full swing as another season on the White Isle draws to an end. 'Ibiza 2014 Closing Party' provides you with the ideal collection of club tracks from this year's hottest DJs and producers that've been dominating Ibiza this year. The compilation features summer tracks from Patrick Topping, MK, Weiss, Dusky, Route 94, Hot Since 82, Booka Shade, Shiba San, Mark Knight, Gerd, Amine Edge & DANCE, Tough Love, Bontan, Traumer, Bob Sinclar, Jay Lumen, Wehbba, Harry Romero, Sonny Fodera, Panda and many more! With two full-length DJ mixes covering all the musical bases from deep house, house, tech house and techno; 'Ibiza 2014 Closing Party' allows you to relive all the anthems of the summer. With over 40 tracks spanning over four hours of this season’s dance music, the album is released today on Toolroom Records. Check the sampler out below.